SideHustleNation.com is a web site / blog / podcast dedicated to those who are building second incomes outside of their 9 - 5 jobs. The host Nick Loper (himself a side-hustler) interviews guests who share inspiring stories about their side businesses. In episode 86 (released on Christmas day, 2014!) Nick interviews Joshua Jordison of TheLinkedInstitute.com. Joshua discussed how to leverage new features of LinkedIn and offered advice on optimizing your profile. I don't know about you, but I'm a huge TED Talk fan. This week, I stumbled across a great one by leadership guru Simon Sinek in which he discusses something I truly believe to be the case... Leadership isn't a role, a title or a rank. It's a choice. From the NY Times, an interview with Mitch Rothschild, CEO of Vitals -- a website that connects patients and doctors. I find his viewpoint on people management refreshing -- it's all about leveling the professional hierarchy. Oh... I almost forgot. 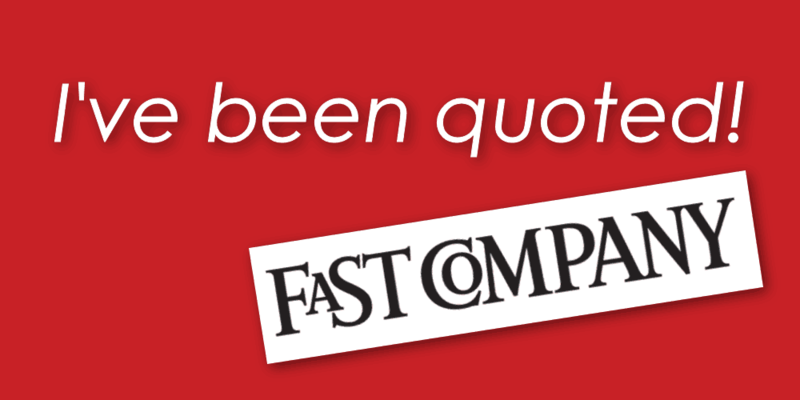 On January 9th, I was quoted by author Laura Vanderkam in her Fast Company article, How We End Up Working With The Same People At Every Job. I guess that's technically 2 Reads. At any rate, I hope you enjoy. If you have any thoughts or feedback on this format, I'd love to hear from you. Let me know your thoughts in the comments section below.